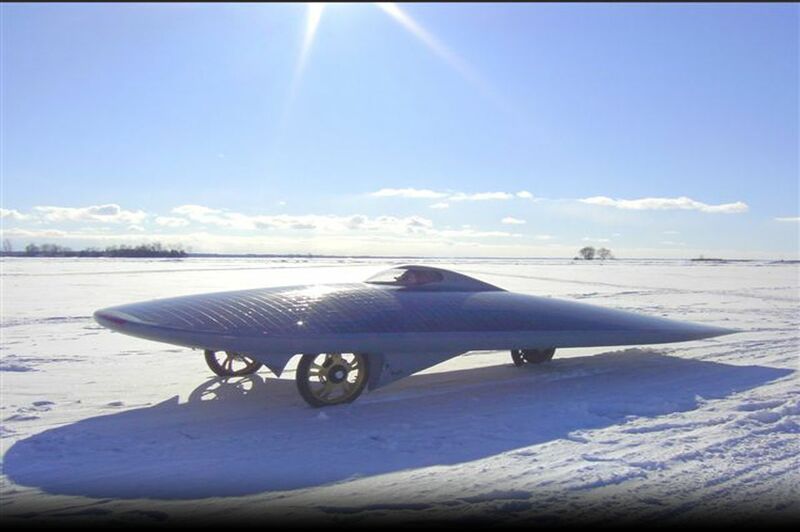 The Power of One solar car project is only made possible by the generous contributions of our sponsors. 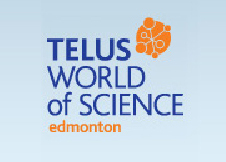 There’s nothing quite like TELUS World of Science - Edmonton. Our Mission is to create a positive science and technology culture in our region that inspires and motivates people to learn about, and contribute to, science and technology advances that strengthen themselves, their families, and their community. U-Haul is North America's largest do-it-yourself moving and storage operator. U-Haul truck sharing services have continually promoted sustainable transportation to meet the needs of residential mobility that is an integral part of human rights and is critical to local economic and human development. A global leader in international forwarding, Kuehne + Nagel also ranks among the top three worldwide contract logistics players following its 2006 acquisition of ACR Logistics. The company, founded in 1890, has approximately 55,000 employees at 900 locations in more than 100 countries. We are the leader in compact, professional electronic test tools used by technical professionals in a variety of industries throughout the world. The Fluke brand has a reputation for quality, portability, ruggedness, safety and ease of use. Fluke Electronics Canada is a subsidiary of Fluke Corporation in Everett, Washington with our headquarters and Service Centre in Mississauga, Ontario and offices in Montreal, Calgary, Ottawa, Edmonton and Vancouver. Fluke's line of products consists of Industrial Products, Precision Measurement Products and ITI products. Other Fluke companies include Hart Scientific and Reliable Power Meters (RPM). Fluke Electronics Canada provides sales, service and support to Fluke Networks in Canada whose innovative Network SuperVision Solutions™ ensure data communications and Internet uptime. 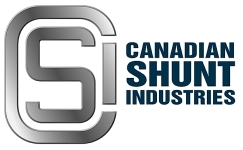 Canadian Shunt Industries Inc.For over thirty years Canadian Shunt Industries has been supplying North American Industry and the world with the widest selection of DC Ammeter Shunts available anywhere. Over the years we have broadened our product line significantly while remaining focused on what we do best, shunts. We now offer three hundred standard models and a large variety of customized shunts. The Durham Electric Vehicle Association (DEVA) is a non-for-profit organization, founded in 1994 in the region of Durham, Ontario. DEVA is a very dynamic group of members from all segments of society who share common interests, from convertion to experiments into using electricity on other forms of vehicles such as boats, bicycles, mopeds, and tricycles. DEVA assists and encourage young students from high-schools, colleges and universities to design and build electric vehicles. Our Mission is to Support, Train, Educate and Promote the use of hybrid vehicles. We plan to continue to spread the word about hybrids and EcoDriving. Whitehorse Premier Hotel.Set in history and renowned for authenticity, the Best Western Gold Rush Inn is the pinnacle of Klondike adventure and hospitality. Genuine Gold Rush era artifacts capture the spirit of the North and usher you into the luxury and convenience of our exceptional rooms. Enjoy the thrill of the frontier in Whitehorse’s finest accommodation. MDC Partners is a portfolio of best-in-class marketing communications companies whose strategic and innovative solutions lead the marketing industry, attract the finest talent and achieve outstanding results for clients. MDC offer an alternative to traditional agency networks that have rigid structures, standardized processes, and a geographical client focus. MDC Partners fosters the entrepreneurial spirit of our Partner firms by encouraging creativity and autonomy while providing human and financial resources to accelerate growth. Canadian Tire Corporation, Limited is a growing network of five interrelated businesses that offer a range of goods and services that meet life’s everyday needs, including general merchandise and clothing, petroleum and financial services. Canadian Tire’s competitive advantage is created through the power of these five businesses, which exemplify our vision to create sustainable growth by being a national champion and Canada's most trusted company. We will grow from our strengths – leveraging our brands, core capabilities, assets and extraordinary people. Canadian Tire's future starts with a clear purpose: We are a proud Canadian family of retail, retail-related and financial services businesses that are inter-related and strengthened by the triangle…a great Canadian brand. We exist to create customers for life and shareholder value. More than 57,000 Canadians work across the Canadian Tire organization from coast-to-coast in the Corporation's retail, financial services, petroleum and apparel businesses. Is a major manufacturer of GPS receivers and electronic communications devices globally.which consist of All-In-One Car Navigation devices, Bluetooth GPS, Cable GPS, SDIO/Compact Flash GPS, GPS Tracking Systems (GSM/GPRS/SMS communication with GPS/A-GPS), Athletic Personal training GPS Devices, GPS Engine Boards/Modules, and GPS System Integration. CoSign has the expertise to offer a wide range of products and services, from hand-painted signs to the state-of-the-art technology of customized full colour digital graphics. Osram Sylvania Ltd., headquartered in Mississauga, Ontario, is the Canadian lighting business of OSRAM SYLVANIA Inc., a subsidiary of OSRAM GmbH, Germany, and a member of the Siemens International group of companies. OSRAM SYLVANIA manufactures and markets a wide range of incandescent, fluorescent, LED and high intensity discharge lamps and automotive and miniature lamps, as well as electronic and magnetic, ballasts, and leads the way in the development of innovative and environmentally responsible lighting products that produce more light while consuming less power. The company provides general and specialty lighting sales, marketing and distribution throughout Canada to industrial, commercial, retail, photo-optic and original equipment manufacturers (OEMs). Extensive research and development and engineering capabilities highlight OSRAM SYLVANIA's cutting edge ability to develop new, innovative lighting products. Arctictek is a company focused on high efficiency energy development creating innovative products and complete systems to help solve today’s energy challenges. We are at the stage of designing several prototype renewable energy technology products. Micro Trend Robotics Inc. Is specialized in custom-built backgauges for brakes and shears (optional depth control ) and multi-axis controllers. Thermoforming Technology Industry, a technically advanced company with forty years of experience has lot to offer in custom thermoformed parts. Thermoforming of all engineering and commodity materials such as ABS, Polycarbonate, Polysulfone, TPO, PETG, PVC, HIPS etc. MikroElektronika manufactures high-quality development systems for microcontrollers. We deliver our products across the globe and many satisfied customers guarantee first-rate service. Boards for PIC, PSoC, AVR, 8051, and other MCUs at competitive prices. Little Hotties Warmers, is a leasing provider of hand, body and toe warmers.Little Hotties Warmers are used by athletes, sportsmen, skiers, construction workers-anyone wanting to stay warm during outdoor activities. SABIC Innovative Plastics works around the globe and around the clock, offering innovative solutions to design needs in virtually every manufacturing arena.? Eco-Limo provide eco-friendly and luxury transportation to and from Toronto Pearson Airport from in and around York Region, offering HYBRID vehicles for clients who would like comfortable transportation in an eco-friendly "green" hybrid vehicle. Aurora Bearing offers a complete line of standard rod end and spherical bearings. We also design and manufacture spherical bearings to meet a variety of applications that require custom engineered units or special materials. Canadian Bearings is Canada's leading bearing and power transmission distributor, serving Canadian industry for over 60 years. The company is 100% Canadian owned with annual sales in excess of $165 million. Canadian Bearings strives to enable it's customers to build, maintain and operate their machinery to tomorrows higher standards. Dave's Network is dedicated to providing their customers with the most reliable web hosting service possible. Affordable price plans. Air North, Yukon's Airline has been taking people to great destinations in the Yukon, British Columbia, Alberta, Alaska and Northwest Territories for over 33 years!. ESA Serviced apartments offer a great, flexible, cost-effective accommodation solution to private individuals and business users alike. Everything you would want from a true home from home can be provided, as well as all the additional comforts and services you may require when working away on business. With esa – Executive Serviced Apartments Ltd you can also be sure of the highest possible levels of service and standard of apartments. L & L Automotive is a dynamic, progressive automobile group that combines the synergy of world class retailers in Hertfordshire. L & L Automotive was selected as Daimler UK’s key business partner in establishing a revitalised national retail structure in 2002. Since then they have continued to advance this legendary brand and have raised the bar for quality service at their dealerships. Established in 1995, NewNet is part of the Timico Technology Group a privately-owned UK company providing award winning connectivity to the Internet, hosting, voice and networking solutions. Sunrise is an independently owned software company that has been developing, implementing and supporting Service Management and Service Desk solutions since 1994. HR Owen.Traditionally a London-based business, H.R. Owen now has operations in Cheltenham, Pangbourne (Berkshire), Byfleet (Surrey), St. Albans (Hertfordshire), and Stockport (Greater Manchester). Other notable developments for the company have been becoming the official UK dealer for Bugatti and Pagani, and opening the world’s first Ferrari “Atelier” in Knightsbridge. Purely Shutters is a premier shutter company offering a dedicated local service in West Midlands, East Midlands, Gloucester, South West and South Wales. Purely Shutters are specialists in the supply and installation of interior plantation shutters with an outstanding reputation for quality and service.